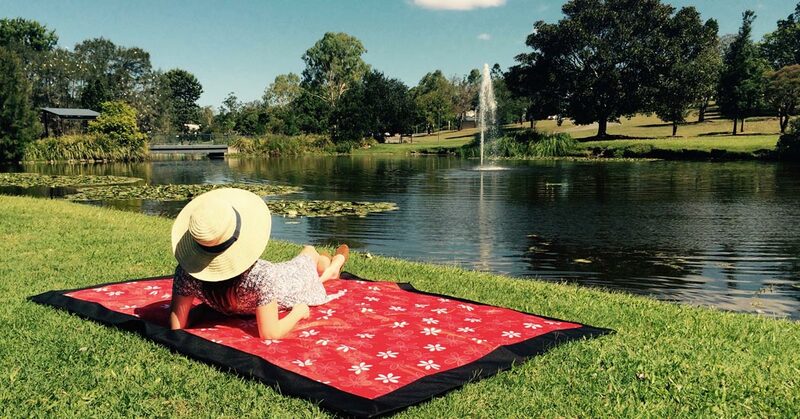 Why buy your picnic rug from us? Our 128bit SSL encryption technology keeps your personal details safe during payment. As a 100% Australian owned business you get great local service when you buy from us. Switch off, unplug and get outside! For us, a picnic rug conjures images of good food, great company and a whole lot of relaxation. That’s why we choose the name ‘Bask’ which literally means “to lie exposed to warmth and light, typically from the sun, for relaxation and pleasure”. Sounds delightful doesn’t it? These days life is busier than it’s ever been. Technology has brought us more convenience and information than we could have ever dreamed possible. But sometimes this can come at a cost. We’re big believers in spending time with those who matter most. In taking the time to smell the roses, walk barefoot in the grass and stand with your feet in the ocean. So put your phones away, grab your kids, your partner, your dog or a good book and go Bask in the sunshine!